Whether you are adding a new look or wanting to complete one, the contemporary and trendy bar table is ideal for use in your kitchen or living area. The sleek and chic style combines elegant black tempered glass with polished chrome base that accentuates the look of the table. The stand provides stability for the table while remaining attractive and the glass provides a smooth surface for drinks or snacks. 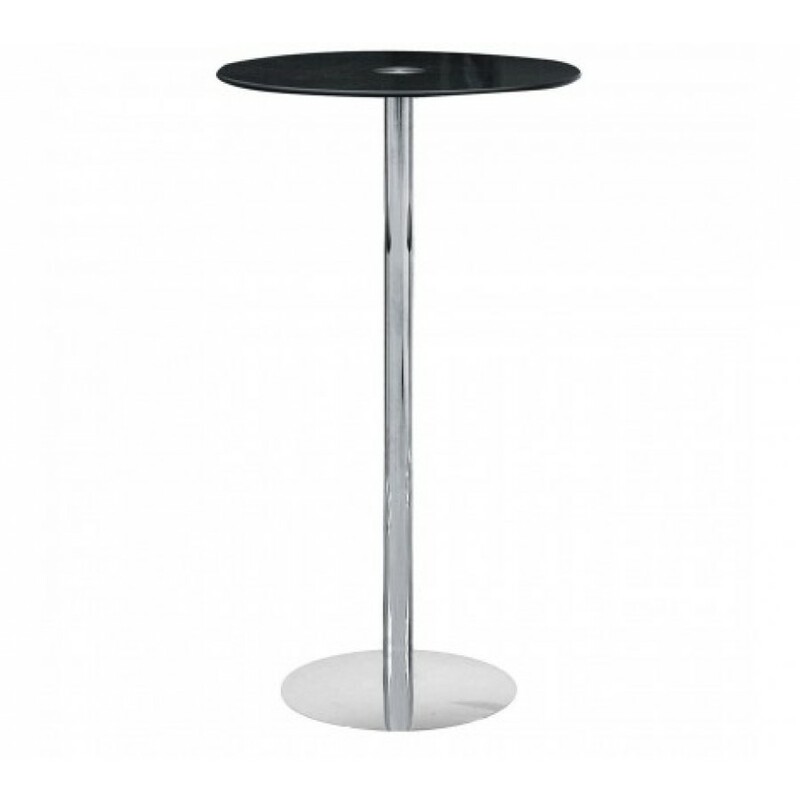 Durable enough for everyday use, the stylish bar table is perfect for a modern setting.